Why is it important to ask for and accept caregiver help? How can others help me with caregiving? 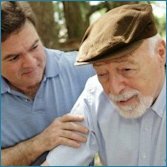 When and how do I ask for caregiver help? Caring for someone with cancer can be hard. As a caregiver, you are at increased risk of emotional, mental, and physical problems. You may feel stress, anger, anxiety, depression, fatigue, loneliness, and uncertainty. Some caregivers find it difficult to ask for help. You may feel embarrassed or like you’re imposing on others. But getting caregiver help is important—for both for you and the person you are caring for. Spend time with the patient so you have time to take care of yourself. Give you a chance to talk through any feelings you have of anger, anxiety, sadness, fatigue, fear, and loneliness. Help you find help if you’re struggling with stress, overload, substance abuse or other issues. Spend time with your family, and get you out of the house (if possible). Have a positive attitude. It is catching! Shop for groceries, medications and other things. Prepare meals for your family or help you plan meals. Keep track of the patient’s medications and refills. Help with transportation, including driving or organizing rides. Walk or feed your pet. Exercise with you—even if it’s just a short walk. Help sort and pay bills. Keep other family and friends in the loop. Help you make a list of questions for the patient’s healthcare providers. 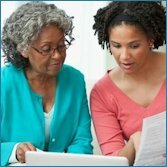 Take the lead in writing and sharing the caregiver help plan and/or keeping it up-to-date. Help with insurance, including figuring out coverage, getting any needed pre-approvals for treatment, keeping track of payments, reimbursement and communications. Research any prescription assistance and other aid programs. Help you research treatment options and understand what to expect. Prepare a travel pack for the patient to take to treatment. Make sure the patient’s home is safe. It is never too early to ask for help. If you can, ask before you need it. This has the added benefit of giving others time to plan. Start by asking the person you’re taking care of to help you make a list of friends, family and anyone else who might lend a hand. Don’t overlook people you may not know well. People at your church, school or work may want to help. Next, call the people on your list, and ask if they are willing to pitch in. Even if you don’t end up needing their help, it will be good to know it’s there just in case. 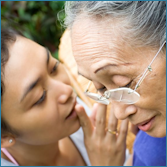 Why is it hard to talk with family and friends about caregiving? What sort of things do we need to talk about? How can I better talk with others about caregiving? What do I do when someone says something hurtful? Many caregivers find it difficult to speak with the person who is sick. You and your loved one are in this together, but your experiences and roles are very different. For example, the cancer patient may be frustrated that he or she cannot do more. And you, the caregiver, may feel stressed and overloaded because you have too much to do. You may have negative feelings but not want to burden one another. Both of you may be deeply afraid. You may also find it hard to speak with family and friends about what you need in the way of help, and/or how you’re feeling. You may not feel comfortable talking about your own needs when you’re not the one with cancer. Talking openly and honestly is a must. You have practical challenges that need to be handled, and feelings that need to be dealt with. Set aside time to talk. Find a quiet time without interruptions. Ask if it’s a good time before you start a talk. Be clear about why you want to talk, and what you hope will come from it. Try to avoid serious talks when either of you are likely to be tired like the end of the day or following chemotherapy. Think about what you want to say ahead of time. You may even want to practice. Make eye contact. Try to have open body language. Be calm when you talk. Try to not get angry or blame others for your feelings. Summarize what the other person has said to be sure that you have understood. If the other person seems to have misunderstood, try explaining what you meant with different words. Allow the other person to talk. Listen and try not to interrupt. Try not to hold back to protect one another’s feeling, and ask the other person to do the same. Know that the other person may not want to hear what you have to say. And, know that you may not like what he or she has to say. Don’t feel like things have to be settled after one talk. Don't feel that you have to always say, "It'll be okay." Remember that people express their emotions differently. If you are having a hard time talking with the person you are caring for or others involved in caregiving, get help. Consider asking a licensed counselor, therapist or clergyman to mediate the conversation. Your doctor can suggest someone. Talking may be hard in the beginning. But it will get easier if everyone is open and honest about their feelings. Be straightforward and honest. Tell the person that the question or comment hurt your feelings. Answer questions in a general way to avoid further discussion. It is your right to share as much or as little as you want. When should we have a family meeting? Who should be at our family meetings? How do we make our family meetings work? Family meetings can help you make sure that everyone understands the situation. Caring for someone with cancer is not a one-person job. You need others to pitch in. Even if they don’t give direct care, the time you spend caregiving may affect them. Meetings are a way to keep everyone informed and involved. Family meetings can be a good place to problem-solve and share opinions. Sometimes, doctors and nurses hold meetings to help the family understand the diagnosis and treatment. Not all family meetings go smoothly. Feelings about the person’s cancer diagnosis and future, bad past relationships, and poor communication can get in the way. But the results can be positive. Your loved one is diagnosed. You need to solve problems. The health of the patient changes. Some families meet on a regular basis to share news, deal with issues as they come up, make decisions, and talk about their feelings and needs. Invite everyone who will be caring for the person with cancer, including family members, close friends, neighbors, and paid caregivers. Also think about including family and friends who live outside the area. There are ways for them to help from a distance. A big decision is whether the person being cared for should be at every family meeting. On one hand, the patient needs to voice his or her ideas and concerns. On the other hand, family members and friends may not be as frank around him or her. If you don’t include the person being cared for, sit down with him or her before and after the meeting so that he or she stays in the loop. Review the tips on talking with family & friends about caregiving. Consider sharing these with everyone before the meeting. Hold the family meeting at a neutral and comfortable place. This could be someone's home, office, a room at the doctor’s, or the phone. Pick a time and place when you will not be interrupted. Ask people to turn off their cell phones or put them on vibrate. If small children will be there, have a sitter watch them in a different part of the house. Consider having an “outsider” lead the meeting. A social worker, pastor, or nurse may be more able to keep the meeting on track. Put a time limit on each item. For example, "We will talk for 20 minutes about money and then we need to move on to helping with housework." Ask someone to keep track of the time. Prepare for difficult people. If you think some of the attendees might bring personal baggage to the meeting, talk to them in advance. If you have an outsider leading the meeting, give them a heads up. Prepare for disagreements. The family may not agree on some things. If you can’t reach an agreement, decide to try it one way for a month, and set a time to talk again about how things are working. Have someone take notes. The note-taker should write down decisions and assignments. Give everyone a copy of the notes after the meeting. Make sure to assign people tasks they can do well. For example, ask the cheerful, scattered cousin to sit with the patient rather than review bills. Remember that you can’t solve everything in one meeting. At the end of the family meeting, set up a time and a place for the next one. Follow-up. When you meet again, start by reviewing the notes and decisions from the previous meeting. Both Care Well and Strength for Caring have information on family meetings.